This Chocolate Treat Takes The Cake (Er, Bark)! Photo: Courtesy of Yvonne Rock. Chocolate lovers, rejoice! Just in time for the holidays, we've got the inside track on an easy (and relatively healthy) treat that also happens to be perfect for gifting. What is this magical culinary creation, you ask? It's orange-zested dark chocolate pomegranate bark with pistachios, and it's the brainchild of two local ladies with a foodie bent. 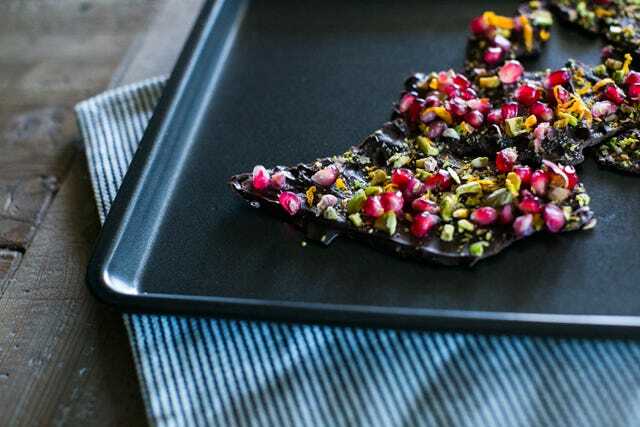 Pastry chef and writer Rebekah Pizana and dietitian Carlene Thomas teamed up to craft this simple (and delicious) upgrade on the classic chocolate bark, and shared the recipe with us. (So, obviously, we're paying it forward and sharing with you.) The yummy chunks are perfect as a holiday gift, a light(er) dessert, or just as a treat to get you through those dark winter afternoons. And, since you're getting a good dose of pomegranate and pistachios, you don’t have to feel guilty afterwards. Keep reading for the recipe! Quickly spread the melted chocolate on the baking pan until it is less than 1/4-inch thick. Sprinkle with pomegranate arils, pistachio pieces, and orange zest. Let cool. Refrigerate for an hour or two before breaking up into serving-size pieces. 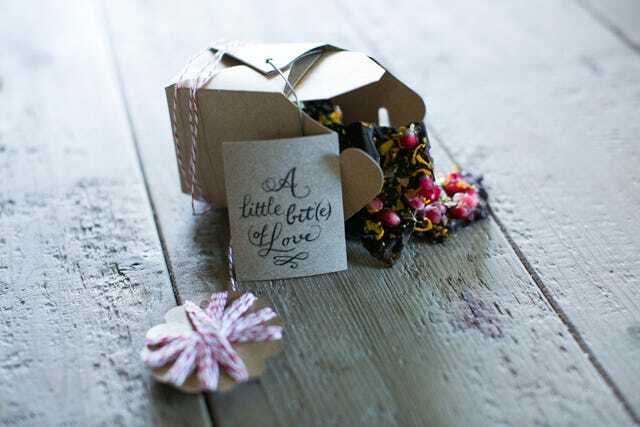 To give as a gift, store in the refrigerator until ready to deliver to your loved ones.